"The only way to respect European parameters is to commit suicide, which then leads to recession," deputy prime minister Luigi di Maio, from the 5 Star Movement (5MS) party, told reporters in Rome on Monday (12 November). 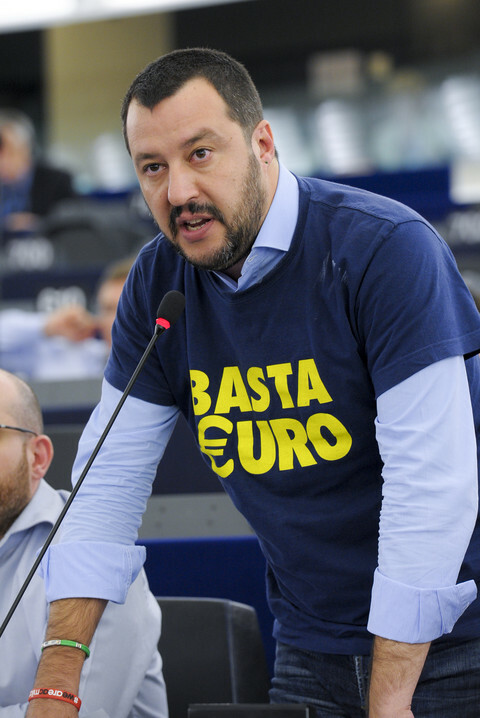 Matteo Salvini, Italy's interior minister, from the League party in the coalition, was equally defiant. 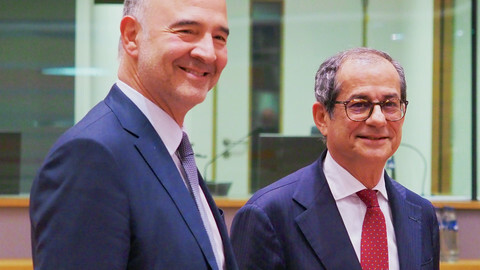 Italy did not intend to "touch one iota" of its spending plan for 2019 and says "No" to "threats and [EU] commissioners", he said. He also mocked European Commission president Jean-Claude Juncker in a speech on Sunday. "The only letters I accept are from Santa Claus," he said, referring to the commission chief's warning letters on Italian overspending. Santa Claus drinks "just a bit of mulled wine, to go with his chestnuts," Salvini added, alluding to rumours that Juncker drinks too much. "Inspectors in Rome? We just need inspector Derrick and lieutenant Columbo, then we'll have all of them," Salvini also said, in a joke referring to two TV characters and the prospect of the EU sending budget monitors to Italy in future. The two men's intransigence stood in contrast to the more conciliatory tone of Italy's finance minister, Giovanni Tria, who has been going back and forth to Brussels in recent weeks to try to avoid a clash. 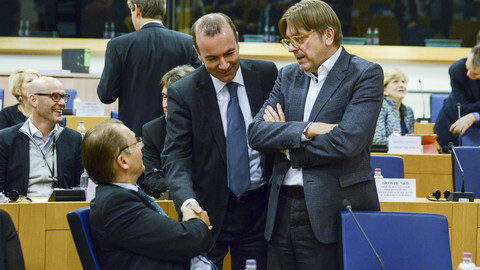 Tria had, in the past, also said the EU demands would amount to "suicide". He has said Italy would maintain its deficit target of 2.4 percent, which the EU commission rejected last month in an unprecedented move, saying it would make Italian debt unsustainable. 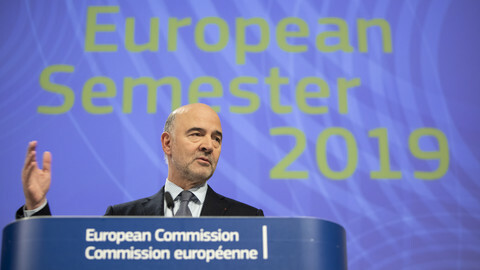 But slogans aside, he has also said the spending plans, which include tax cuts for small businesses and a hike in pensions and unemployment benefits, could be adjusted in future if Italian economic growth did not reach 1.5 percent next year - a figure which the EU commission believes to be too optimistic. 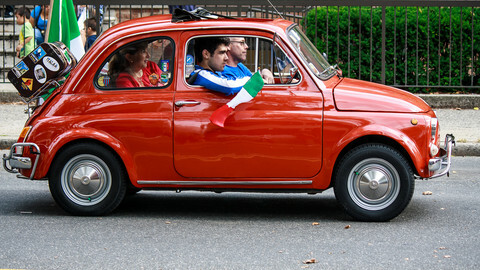 The noises from Rome come ahead of an EU deadline for Italy to submit a revised spending plan by midnight on Tuesday. If the two sides cannot reach agreement, the EU commission could launch legal proceedings against Italy, leading, as a last resort, to fines worth billions of euros. Di Maio, Salvini, and Italian prime minister Giuseppe Conte aim to meet on Tuesday to discuss their next move. The fact that they did not invite Tria to their budget summit does not bode well. 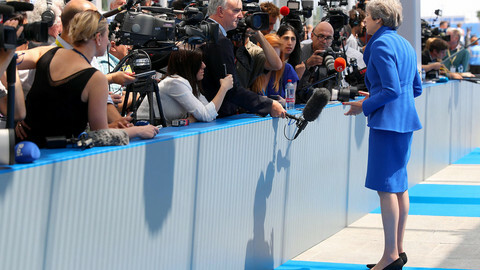 But the tone from the EU side remained positive on Monday. "The Italians are moving away not only from what they had promised us, but also from the minimum rules of the stability pact," Juncker told German broadcaster N-TV at an economic forum in Berlin, referring to an EU pact on fiscal rules. He added that he had only "moderate concerns" about the outcome of the dispute, however. "Whoever has 130 percent of their economic performance as a public debt, must act more cautiously than someone who has sound finances," German finance minister Olaf Scholz also said, referring to Italy's debt pile, which is second only to that of Greece in the eurozone. "I assume that the Italian government will make the necessary decisions that will make it possible that they will not get into trouble," he also added. 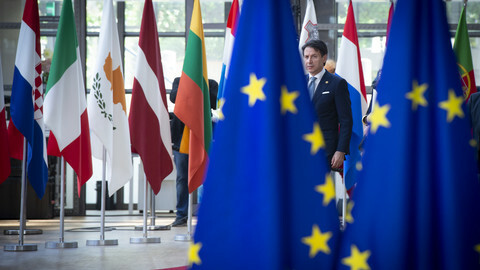 The EU budget clash with Italy comes in a difficult political context. 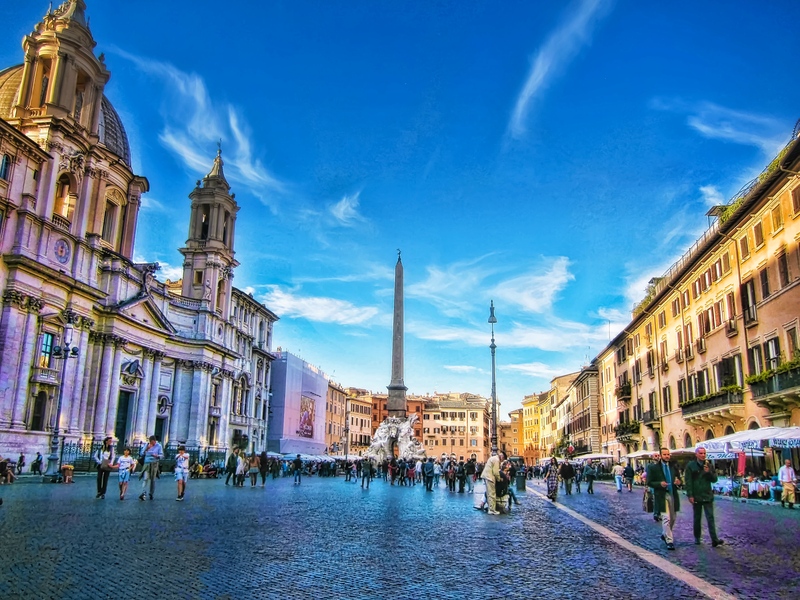 The EU fears that if it pushes Rome too hard it could lead to a backlash that would give more votes to the populist 5MS and League in next year's European Parliament election. EU diplomats also fear that Italy might threaten to veto unrelated decisions, for instance, on the renewal of EU sanctions on Russia, unless the commission stands down. 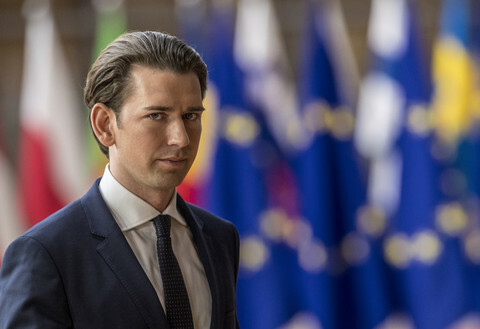 Tuesday's deadline aside, the clash is likely to come to a head at the EU summit in Brussels next month. But for their part, EU financial chiefs have said the politics of the situation were less important than the potential long-term damage to Italy that overspending might cause. 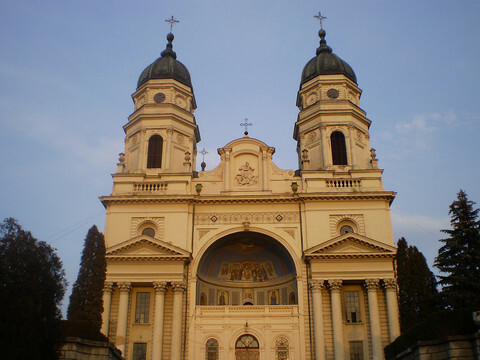 "From previous experiences, we've seen that damage to the economy can be done quickly, but then it takes years to repair it," EU financial affairs commissioner Valdis Dombrovskis told Italian newspaper La Stampa over the weekend. The market reaction to the populist budget had so far been muted, the deputy head of the European Central Bank, Luis de Guindos, said in Frankfurt on Monday. But if things went badly, then Italian stocks and bonds could suffer, destabilising its banks, and creating a risk of contagion to other eurozone economies, he added. "The strong market reactions to political events [in the past] have sparked new concerns about the link between banks and sovereign debt in some parts of Europe - this is the basis of the request for fiscal discipline and compliance with the rules," De Guindos said.